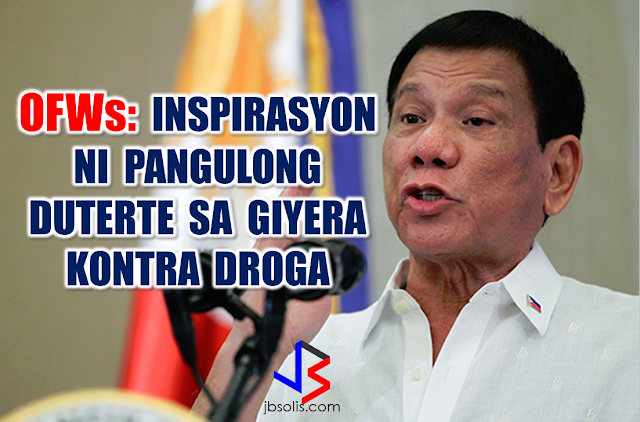 The OFWs are the reason why President Rodrigo Duterte is pushing through with the campaign on illegal drugs, acknowledging their hardships and sacrifices. 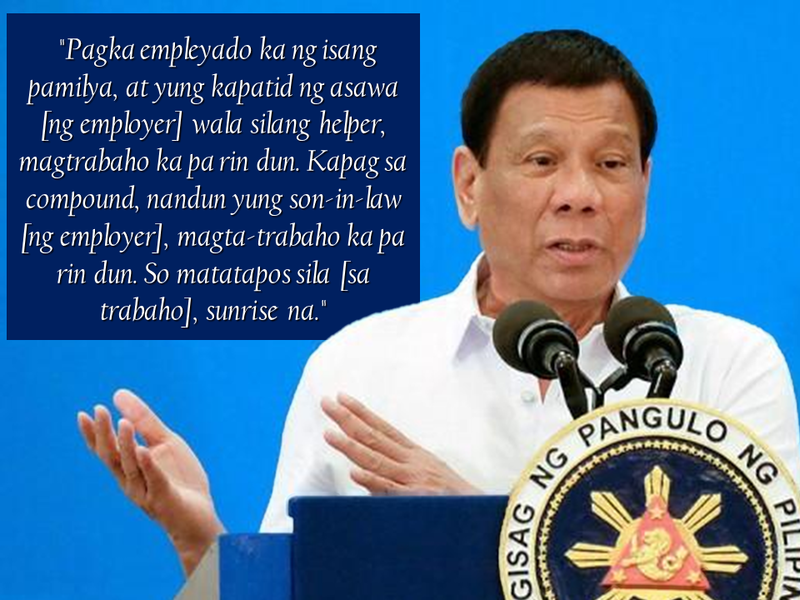 He said that as he visit the countries where there are OFWs, he has heard sad stories about them: sexually abused Filipinas,domestic helpers being forced to work on a number of employers. "I have been to many places. I have been to the Middle East. You know, the husband is working in one place, the wife in another country. The so many sad stories I hear about our women being raped, abused sexually," The President said. "If you are working on a family and the employer's sibling doesn't have a helper, you will also work for them. And if in a compound,the son-in-law of the employer is also living in there, you will also work for him.So, they would finish their work on sunrise." 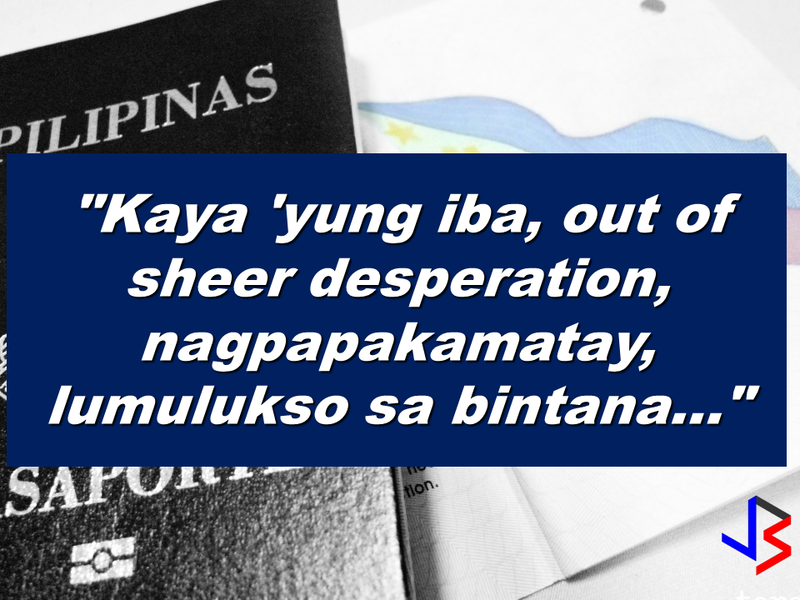 He even refer to the OFWs being similar to the African slaves because of the situation that they have been into for the sake of their families back home. Citing instances that some of them, out of deep despair, resorted to ending their own lives. The President also said that he finds it heartbreaking to know that after all the sacrifices of the OFWs working abroad for the future of their families they would come home just to learn that their children has been hooked into the snare of illegal drugs. "I made no bones about my hatred. 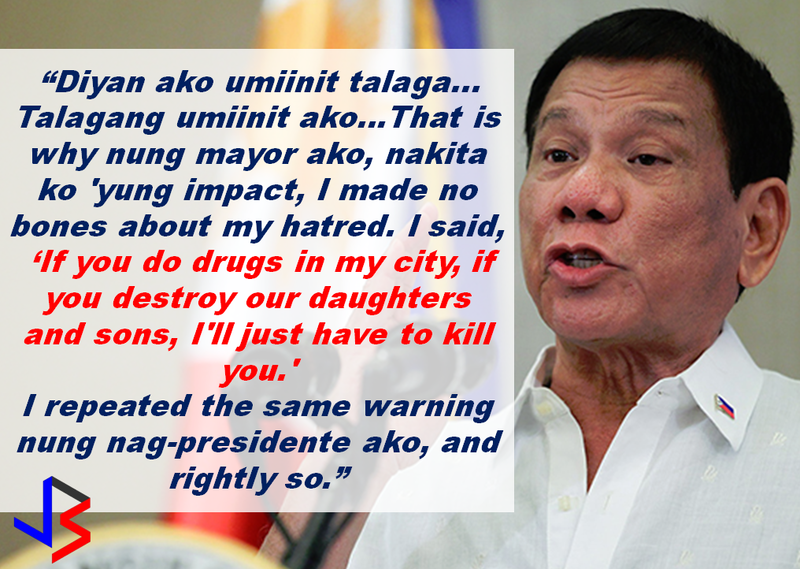 I said, 'If you do drugs in my city, if you destroy our daughters and sons, I'll just have to kill you.' I repeated the same warning when I became president," he said. Critics of the so-called violent war on drugs under President Duterte's administration includes local and international human rights groups, linking the campaign on thousands of drug-related killings. Police figures show that legitimate police operations have led to over 2,600 deaths of individuals involved in drugs since the war on drugs began. However, the war on drugs has been evident that the extent of drug menace should be taken seriously. The drug personalities includes high ranking officials and they thrive in the expense of our own children, if not being into drugs, being victimized by drug related crimes. The campaign on illegal drugs has somehow made a statement among the drug pushers and addicts. If the common citizen fear walking on the streets at night worrying about the drug addicts lurking in the dark, now they can walk peacefully while the drug addicts hide in fear that the police authorities might get them.